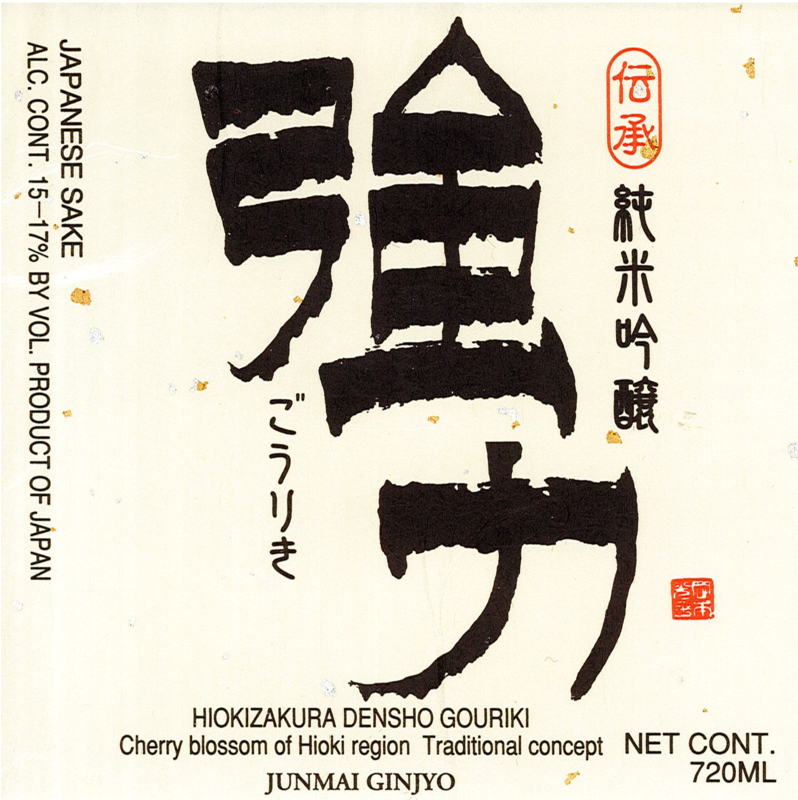 Hiokizakura Densho Gouriki Junmai Ginjyo is produced using the famed and formerly extinct Gouriki rice. Being tall and prone to wind damage, the rice stalks are difficult to cultivate. After becoming extinct, around 40 years ago Tottori University was able to resurect this historical rice variety. It is distinclty rich and hearty. Strong aromas of lactic acid and citrus with an undercurrent of green apple. Hearty weight on the palate, a subtle hardness is balanced out by astringency.